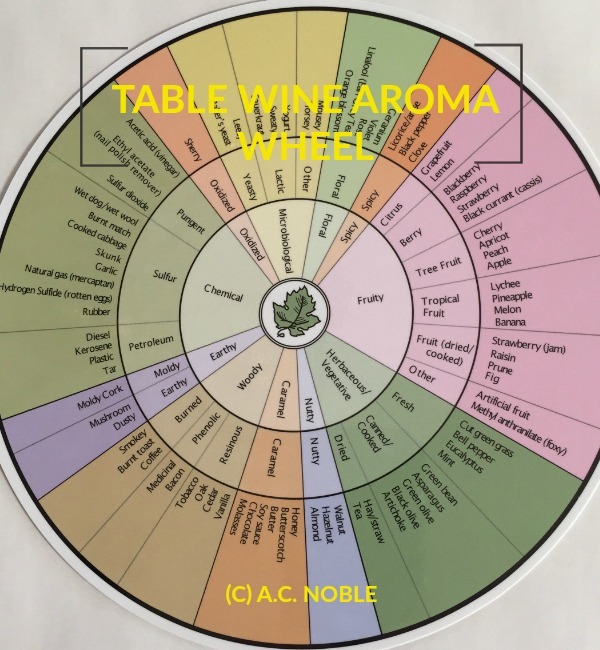 Aroma wheels for table wines are available in English, French, Italian, Spanish, Portuguese, Danish, Norwegian and Swedish. 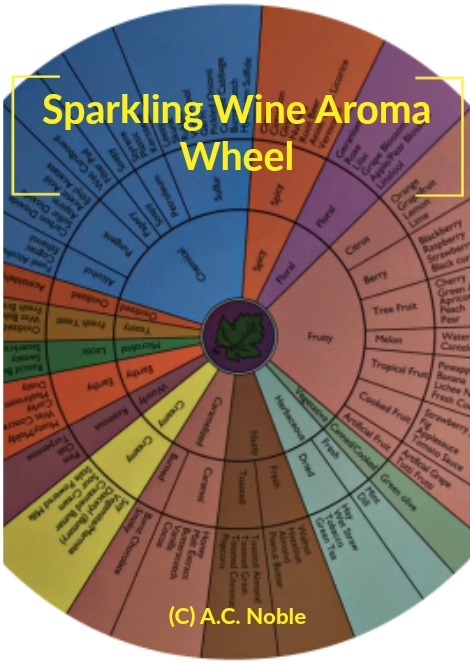 For Sparkling Wines made by Méthode Champenoise, there is a separate Sparkling Wine Aroma Wheel in English. 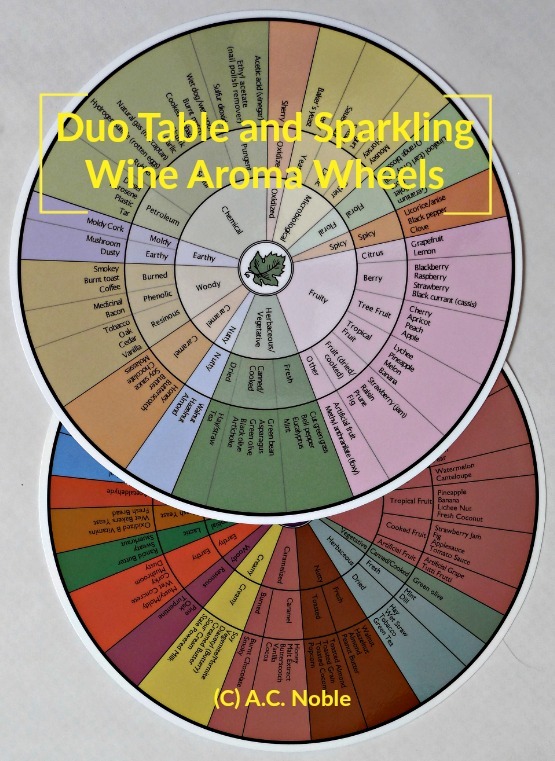 All wine aroma wheels are laminated plastic circles, with a diameter of 8.5 inches (21.5 centimeters). Purchase directly from this website. All prices include shipping in the US and Territories and a discounted shipping fee for international orders. EDUCATION in academic institutions and affiliates. You can also choose to brand the wheels with your logo. Please contact us to learn more about these options. Note that all orders are handled by InnoVinum LLC. To order Aromahjulet, the Norwegian version of the Wine Aroma Wheel, visit In Vino Veritas.